These metallic red 20” off-road wheels from Luxxx HD will make your truck or SUV look incredible! 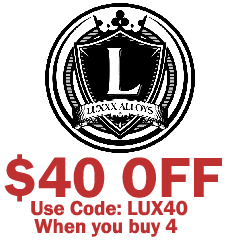 Luxxx HD wheels come with a one year finish warranty and a lifetime warranty against manufacturing defects. These wheels are designed to handle any off-road conditions while looking amazing. 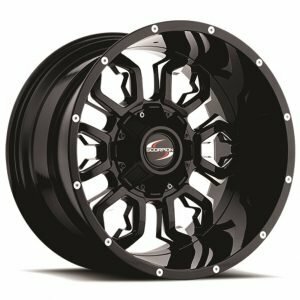 Luxxx HD makes wheels for your off-road vehicle that are both strong and stylish. 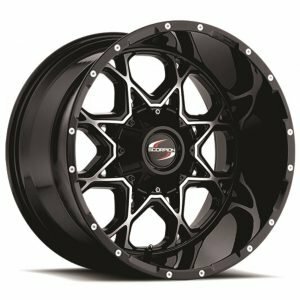 You don’t have to settle for boring, plain steel wheels when you pick up a set of these Luxxx HD 2 20x10 wheels! 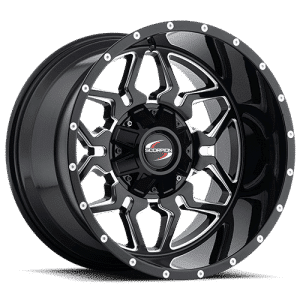 Luxxx HD has long prided themselves on providing an alternative to the bland, aesthetically-neutral wheels that are common in the off-road world. These wheels are a blazing red with shining chrome accents. Pick up a set of these today to make your truck the talk of the trail!